Based in the beautiful city of Perth, join us for this spring tour to delight in some Scottish heritage and discovery staying in a historic building right in Perth’s town centre. 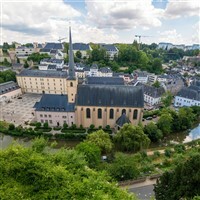 We are delighted to offer you the opportunity to discover the beautiful unspoilt country of Luxembourg. 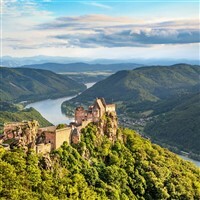 Staying in historical Vianden, you will enjoy Luxembourg heritage, a cruise on the Moselle, wine and chocolate tasting amongst lush forested landscapes. 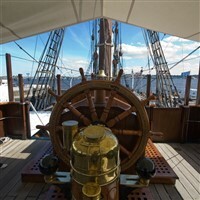 Join us for this fascinating tour packed with a variety of attractions and treats! What Luxembourg lacks in size, certainly makes up for in terms of interest. Europe has the perfect mix of ancient and the modern so when you board our River Cruise you get to explore all the timeless beauty Europe has to offer. You will experience the heart of Germany and travel along the rivers that the country thrives on and visit some of the deeper, more cultural & historical experiences Europe has to offer. This cruise will provide you with an unforgettable holiday experience along these great waterways. Join us on for this classic Tyrolean alpine tour based in Kirchberg, some of the treats include Steam trains and a beautiful cruise on Lake Achensee with coffee and cake. This tour is on an ‘all inclusive’ basis which includes full board, beer, wine and soft drinks all day and local spirits from 8pm-10pm daily and a daily afternoon cake buffet. The Heart of Provence is famous for its iconic landscapes of rolling fields of aromatic lavender surrounded by medieval villages, ancient Roman remains, the majestic city of Avignon, wonderful local markets and fantastic food and drink - a true feast for all the senses. Nestled on the edge of the tranquil Lake Levico Terme is an authentic historic spa town of Trentino, Italy. The old town offers charming shopping streets and a long lakeside promenade, parks and gardens. One of Italy’s most pristine lakes, Levico is in the beautiful Sugana Valley close to Trento, Lake Garda and surrounded by the Italian Dolomites. 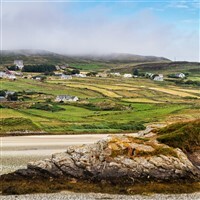 County Donegal in Southern Ireland boasts some of the highest marine cliffs in Europe and an abundance of fascinating history. From Donegal Castle, Glenveagh Castle, and an 18th century County Gael to the Ulster Folk Park and beautiful Belleek Pottery, join us on this tour beginning with a Scottish overnight for a shorter Irish crossing from Cairn Ryan to Belfast. For this tour we are based at the unique Georgian canal town in the heart of the Severn valley. 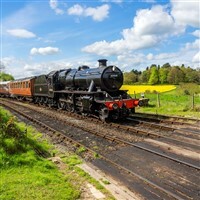 This tour includes a relaxing cruise from Shrewsbury, a scenic journey on the Severn Valley Railway and a guided tour of the RAF museum Cosford, home to over 70 aircraft of international importance. 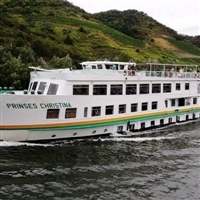 Cruising the Danube through Austria and Hungary is often referred to as the best cultural river cruise experience in Europe, passing through the great cities of Vienna, Budapest and Bratislava. This part of the Danube also includes fabulous landscapes and scenery, to rival those of the Rhine! 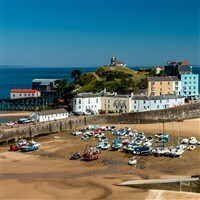 A picturesque corner of Wales offering wonderful beaches, stunning coastal scenery and quaint villages, join us to explore Britain’s first coastal National Park. 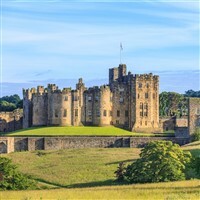 Northumberland is a region of dramatic locations from Hadrian’s Wall to enchanting castles, gardens and miles of heritage coastline. After the huge success of this tour in 2018 we once again return to the lovely hotel Ebertor in the riverside location at Boppard. This year we are including a cable car in Koblenz as well as two fabulous boat trips and the Vulkan Express train through wooded valleys from Brohl to Engeln. 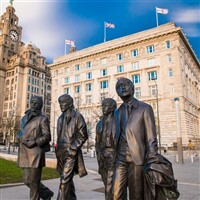 Not just famous for ‘The Beatles’ and its music heritage, Liverpool also has the largest collection of museums and galleries in the UK outside London. 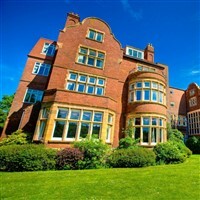 This tour includes a step on guided tour of this fascinating city, a ‘Ferry cross the Mersey’ and a tour of the beautiful ‘Port Sunlight village’ followed by a full afternoon tea. Royal Norfolk with sweeping beaches and the tranquil Norfolk Broads offers a fine destination for an interesting tour, and it’s no wonder it’s a favourite home to the Queen and the Royal Family. 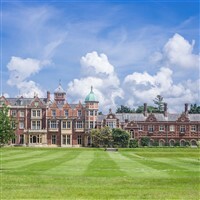 Our itinerary takes in Norwich, Sandringham, a steam train journey, a cruise on the Norfolk Broads, Cromer and Great Yarmouth. 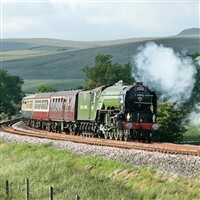 This 2-centre holiday staying in Lancashire and Dumfries, includes the fabulous journey on one of England’s most scenic railway lines, the spectacular Drumlanrig Castle and gardens and the lovely seaside town of Southport. Every year in the Tyrol, some 180,000 cows, horses, sheep and goats spend their summer in the mountains, grazing on Alpine pastures new. 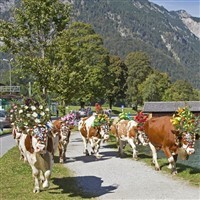 In September the cows return home, an occasion that is celebrated by decorating the cows with flowers, garlands and bells for their safe return home for the winter months. 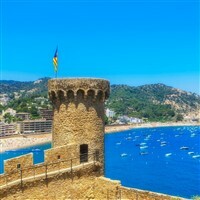 Tossa de Mar is a charming and picturesque beach resort on the Costa Brava coast of Spain. It has been dubbed the ‘blue paradise’ by painters who meet from around the world to paint one of the most beautiful towns in Spain. The charming “old town” with its castle walls surrounding parts of the city and ‘La Vila Vella’ castle gives Tossa a truly medieval feel. We are once again returning to the popular Winnock hotel in Stirlingshire to enjoy the changing colours of Autumn. 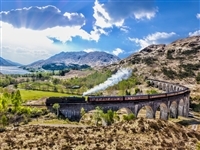 Highlights include Loch Katrine cruise followed by lunch in the lochside restaurant, The Falkirk Wheel, Bo’ness Steam Railway with full afternoon tea, The Trossachs, The Kelpies, Stirling Castle and the Bannockburn Experience. Staying in the charming Victorian Hotel, ‘The Cumbria Grand’ just a short drive from Windermere, join us for the glory of those autumn colours. 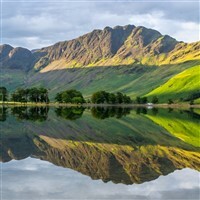 With visits to Ullswater, Keswick and Morecambe bay, a lake cruise, steam train and the beautiful Holker Hall, and evening entertainment. 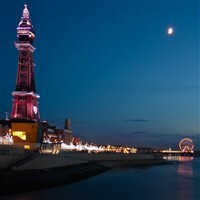 Blackpool is unique, there is no destination like it in the UK! It is home to the famous illuminations known as the greatest ‘light show in the world’. With over a million light bulbs making up a variety of fabulous displays, and with live cabaret entertainment each night in our hotel, this tour is sure to be a memorable experience ! During November & December each year Thursford is home to a show like no other! With a budget of 3 million there are 130 professional singers, dancers and musicians performing in a 3 hour spectacular Christmas show. The costumes are amazing and the entertainment covers everything from comedy, magic, solo singers to full four part choral numbers – A spectacle not to be missed. The first of our ‘Tinsel & Turkey’ tours this year, so if you love all things festive and can’t wait ‘til Christmas day, join us for a festive break in the lovely Victorian town of Southport. 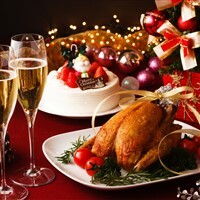 With nightly entertainment and full leisure facilities this hotel offers us a super festive break. A super Turkey & Tinsel themed break in Torquay, ‘The English Riviera’. Situated on a rugged coastline, surrounded by Devon’s magnificent countryside, this is the ideal place to relax and enjoy the festive sprit including interesting visits and a fun filled entertainment programme. 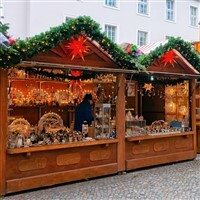 Join us for some real traditional festive fun as we head for Germany to experience some of the best and most popular German Christmas markets. Based in Newquay, with visits to, St. Ives, Truro, Falmouth and The Cornish Cider Farm. 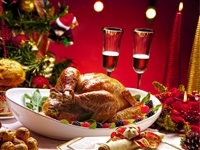 As with every Turkey & Tinsel you will enjoy a traditional Christmas dinner, a visit from Santa, evening entertainment including a free bar between 18:00- 21:00 each night (selected brands only) with plenty of Cornish hospitality, this tour makes for a pre-Christmas holiday. Once again, we return to Northumberland to step into a magical Christmas past and discover sounds, sights and mouth-watering tastes of traditional festivities from the 1820’s to the 1940’s. 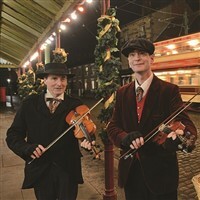 From the Beamish Bazaar to the Winter fun fair with a real ice-rink and sideshows, enjoy a warming hot chocolate while exploring the beautifully decorated homes and shops at this special time of the year at ‘Beamish’. 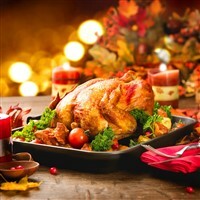 We are even including a traditional 3 course Christmas lunch to complete our day. 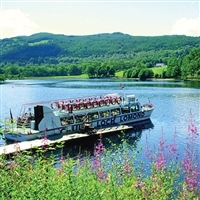 We return to Loch Lomond and the ever popular ‘Winnock Hotel’ at this special time of year. This hotel is perfect for Christmas with its open log fires, beamed ceilings along with friendly service, fun and entertainment. Join us this year on an ‘all inclusive’ tariff which includes full board and a ‘free bar’ each evening. Why not join us to see in the New Year at the 4* Best Western Plus Burlington Hotel – Folkstone. With live entertainment each evening and visits to Royal Tunbridge Wells, Canterbury and Guildford. We are also including a delicious afternoon tea at the Worplesdon Place Hotel on our way home on day 4, a nice treat before we take you home!